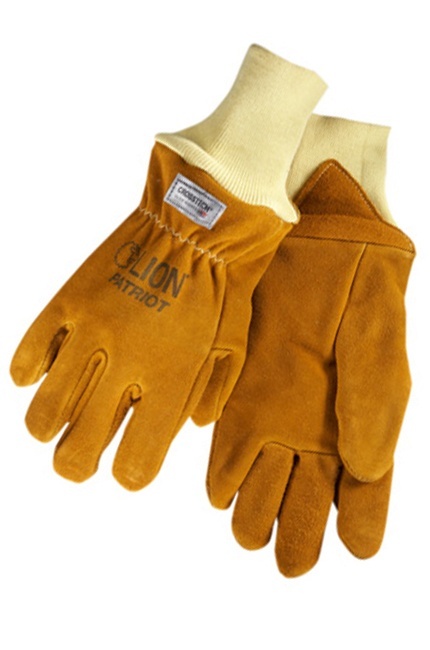 The LION Patriot series of protective gloves offer excellent performance at an affordable price. 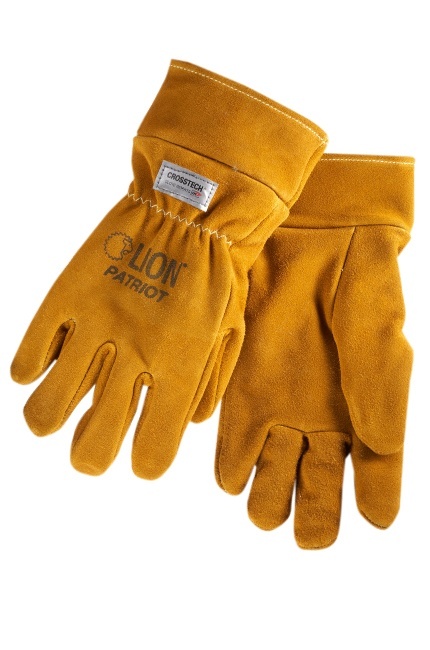 Made of Thermal Leather: Features treated gold leather exterior for style and fire protection. Lined with Cotton Blend Fabric: Cotton blend lining for comfort. Water resistant: Barrier technology keeps water out. Different Sizes Available: Choose from sizes 2XS to 4XL. Crosstech® Protective Insert: Barrier technology helps keep water and heat out without adding bulk. NFPA 1971 Certification: Meets all standards for NFPA 1971 Certification. Eversoft Thermal Split Leather: Leather construction provides thermal protection while preventing abrasions. Wrist Options: Choose the protection you need. Available in wristlet and gauntlet styles. Extended protection with leather gauntlet.